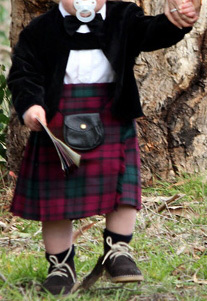 Children's Scottish wear 1 (more on next page, and jackets on following page). Mostly lightweight. 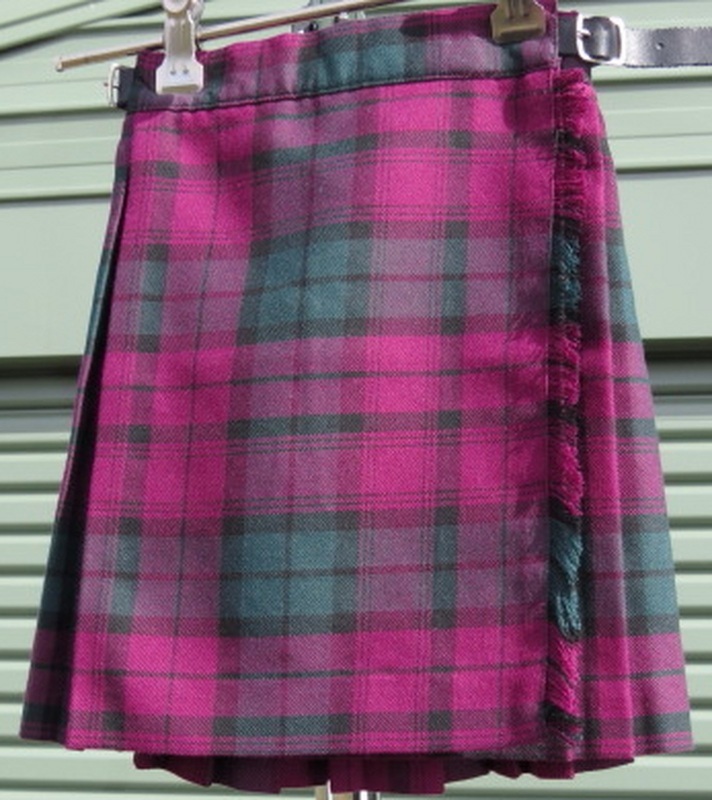 Hire package includes kilt, basic pin (not for under-4s), sporran for boys. Rental cost depends on how many (child's or man's) are being rented. 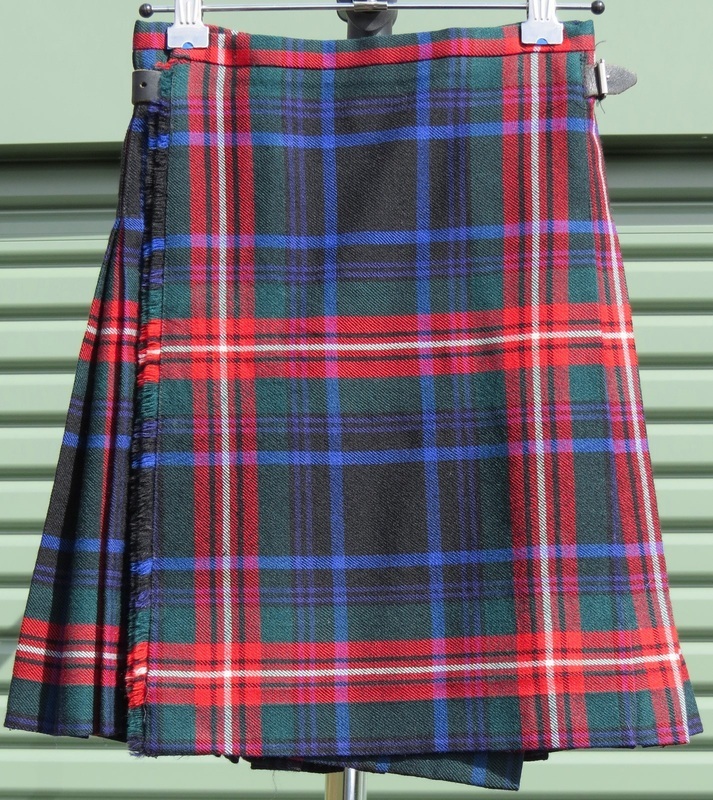 If you buy a wedding dress from us, the rental cost for kids' Scottish wear will be equivalent to cleaning fees. 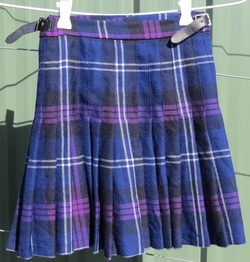 Children’s kilts available in Anderson, black, Black Stewart, Black Watch, cream, Douglas ( ages 6 and 8) and Douglas blue, Flower of Scotland (various sizes), Hamilton grey (various sizes), Lindsay, MacBeth, McLaren ancient, McLeod, Robertson, Royal Stewart, Stewart dress blue, Thomson modern dress blue, and for teens, Ettrick, Hamilton grey, Johnstone, MacKinnon Old Hunting and Thomson Hunting. 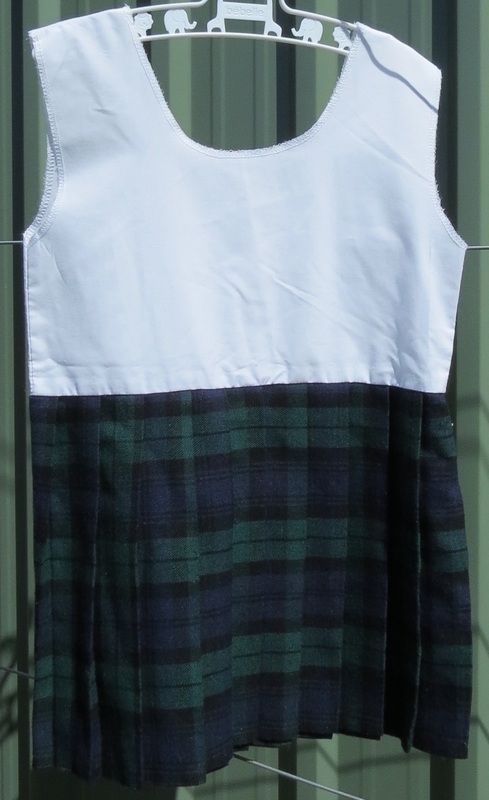 Also a dance outfit for boy or girl in McRae dress modern , if it hasn’t sold by then. 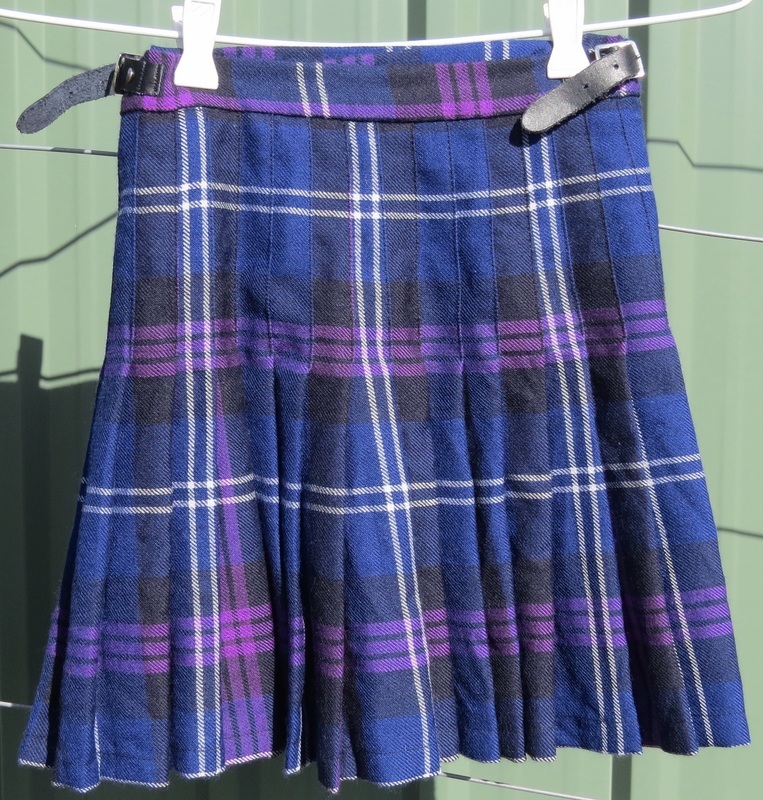 if you want matching sets for tartans where we currently only have one, we may be able to obtain more if given reasonable notice. 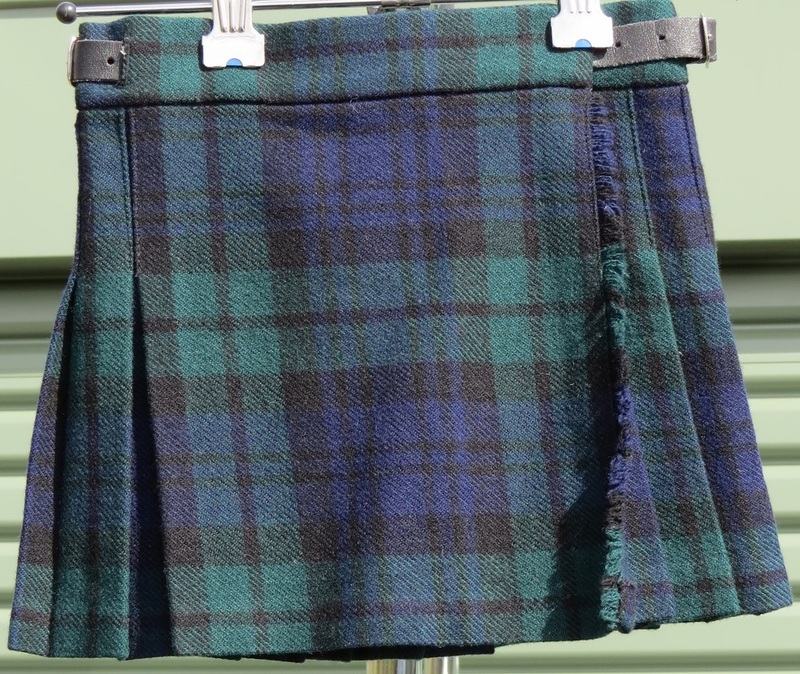 Purchase; baby kilts $15 each, children's kilts $40 each. Chsc1. Unisex. 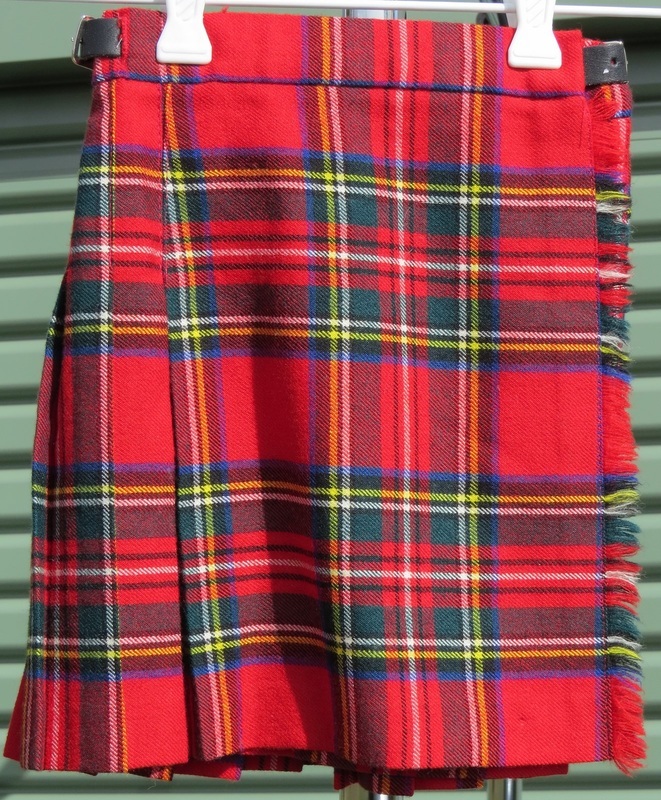 Heritage of Scotland.